Shop Preparation H Hemorrhoidal Cooling Gel (.9 oz. ).9 oz. Shop Preparation H Hemorrhoidal Cooling Gel (1.8 oz. )1.8 oz. 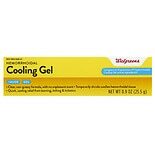 Shop Walgreens Hemorrhoidal Cooling Gel (.9 oz. ).9 oz.